When ‘Tini Beauty founder and lifelong cosmetic lover Michelle Toma Olson couldn’t find the perfect nail shade for her wedding, she decided to mix her own, and the idea behind Nailtini was born. “Cocktailing,” the beauty industry practice of combining multiple products to achieve a desired custom result, has never been easier! Our ultimate “You Call It” Mixology kit puts you in the beauty bartender’s seat. Stocked with four empty 1/4 oz. bottles with mixing beads, caps and brushes, you can concoct custom nail colors with ease by mixing whatever you choose from your own collection. Now that’s a bespoke cocktail. Our new Lacquer Cabinet subscription, which gets shipped once a month, not only features 3 beautiful limited-edition nail polish shades curated by top nail and beauty experts, but it also features two empty mini bottles for you to try your own hand at lacquer mixology for only $25 dollars and free shipping. The cocktailing potential has never been more exciting! 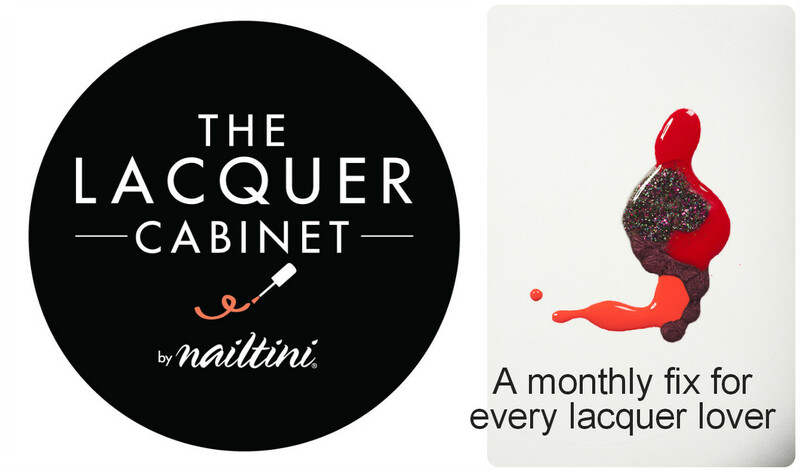 Introducing the Lacquer Cabinet by Nailtini … A Nail Subscription Beauty Box! Get ready to quench your passion for polish like never before! The most exclusive, fashion-forward ‘cocktail of the month’ club is at your fingertips, and there’s no such thing as last call. 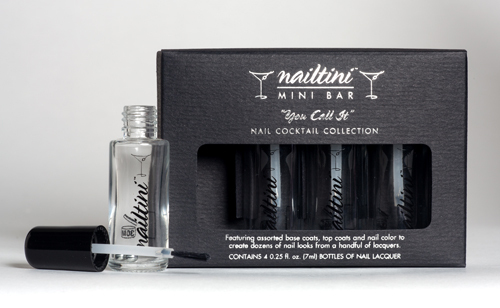 ‘Tini Beauty – the brains behind the Eyetini® Bar, Liptini® libations for lips and, of course, Nailtini® cocktails for nails – introduces The Lacquer Cabinet, a subscription membership service that delivers the latest in nail fashion to your doorstep each month. Keeping with Nailtini’s “cocktailing” philosophy for ultimate customization, this unique program provides the latest, chicest and most sought-after in bespoke nail wear on a one-time-only basis. The twist? Each limited edition collection features three full-sized polishes designed and curated by a “Guest Mixologist” – your favorite nail artists, bloggers and tastemakers, whose perfectly polished fingers are on the pulse of what is happening in nails. Feeling inspired? Shake things up by trying your own hand at mixology. Each package also includes two empty mini bottles with brushes and mixing beads so you can step behind the bar and create your own custom concoctions. Use lacquers you choose from your personal collection to whip up a perfect signature blend or whatever adventure in alchemy you feel like stirring up. 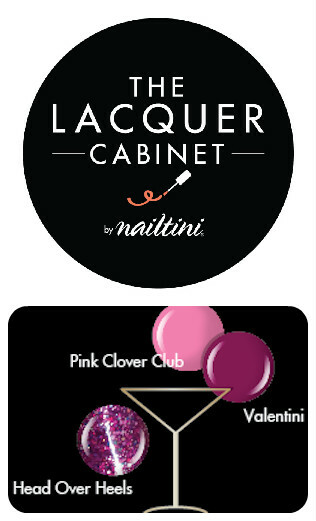 The Lacquer Cabinet by Nailtini debuts its first collection in February 2014 at rates of $25 per month, $23/month for a 6-month subscription, or $20/month for a 12-month subscription. 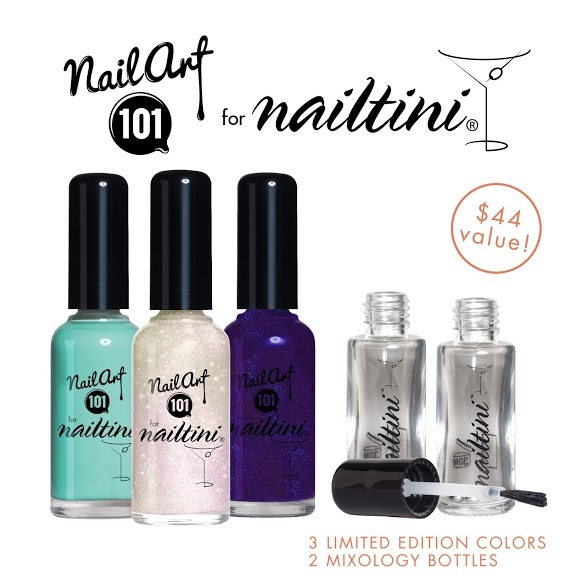 A true happy hour for hands, each collection offers an over- $44 retail value plus free shipping, and members enjoy up to 15% off all ‘Tini Beauty products at http://www.tinibeauty.com for the life of their subscriptions. 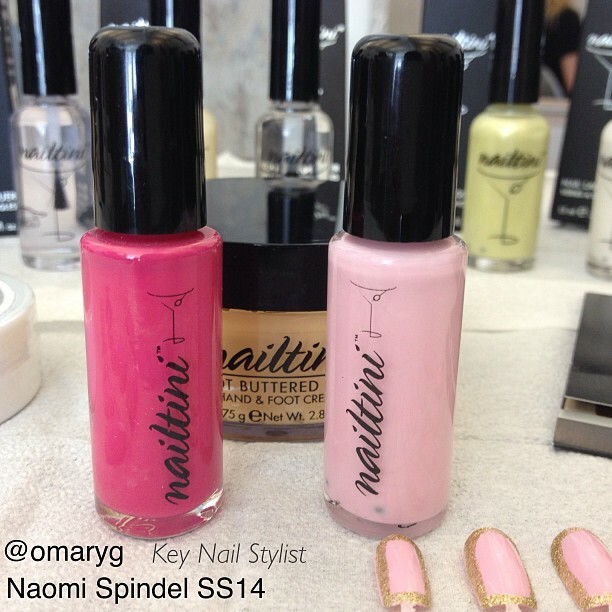 So, go ahead and join Nailtini in a toast to customization, collaboration and fabulous nails…delivered! We are still jumping for joy at the opportunity we had to participate in fashion designer Naomi Spindel’s Ready-To-Wear Spring 2014 show at New York Fashion Week. Truly talented, fashion up-and-comer Naomi Spindel honed her flare for fashion while working for designers such as Alexander Wang, Oscar de la Renta and Proenza Schouler to name a few. For her premiere show at Fashion Week she debuted a fun, and glamorous 10-look collection featuring hot shorts, wrap tops and slipdresses in rich fabrics and stunning feminine shades. Going with the glam feel of the show, renowned Manicurist Omary Gonell used Nailtini in Blushing Lady and Grenadine to create some equally as stunning nail looks which paired perfectly with the designer’s vision. The final look was jaw-droppingly gorgeous! Want a behind-the-scenes rundown on how to get the look by the key hair stylist backstage? Read this. 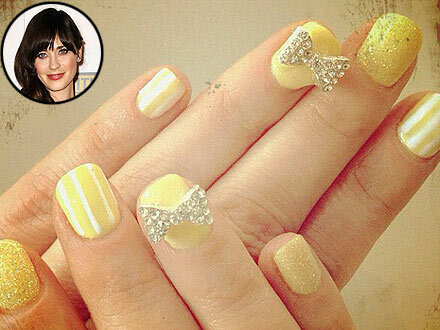 Zooey Deschanel’s Award Winning Nails! Our long-reigning manicure muse, Zooey Deschanel, wowed us once again at last Sunday’s 2013 Emmy Awards. Pairing a mod black-and-white manicure with a light blue tulle gown, she was the belle of the ball from head to fingertips! It’s hard to choose just a few of her nail looks to feature, but these stunners are definitely up there among our favorites from over the years. As you can see, Zooey is a celebrity girly-girl after our own heart. She recently told Glamour Magazine, “I don’t like plain nails, I get sad.” We feel you Zooey! Which of her nail looks top your list? FREE full size eyeliner with purchase of $25 or more! Whether or not you’re headed back to school, now’s the perfect time to stock up on beauty supplies. Spend $25 on your favorite ‘Tini Beauty products from now through September 30th, and receive a full-size swizzle stick Eyetini eyeliner* – an incredible $18 value – FREE! Eyetini swizzle stick mechanical eyeliners take you from early morning classes to late night parties with ease. Available in 8 versatile shades, these smooth-glide, paraben-free eyeliner pencils resist smudging and fading and never need sharpening. enter code PENCILMEIN at checkout. Valid through September 30, 2013, limit one per person, not valid with any other offers. 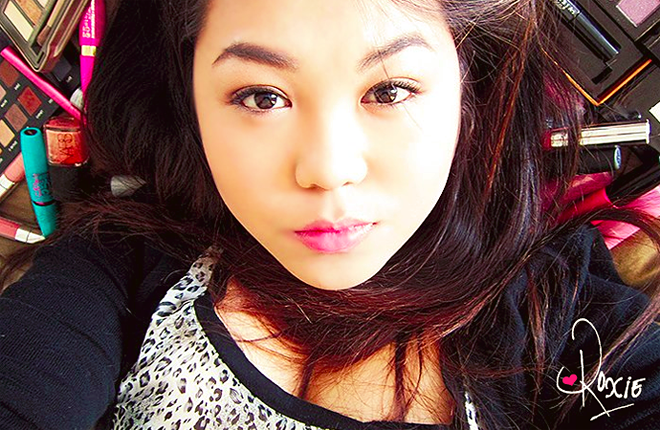 *Shade chosen by ‘Tini Beauty bar staff. Bloody Mary’s go with Sunday Football like peanut butter goes with jelly. In honor of football season kickoff, we’re hosting an NFL-inspired nail art contest all month long! Every Sunday throughout the rest of September (4 total), we’ll be selecting a winner to receive 1 full size Bloody Mary Nailtini Nail Lacquer, a $13 value! To enter simply show your football spirit by sporting your favorite team’s colors, logo, mantra, or the numbers of your favorite player(s) on your nails. 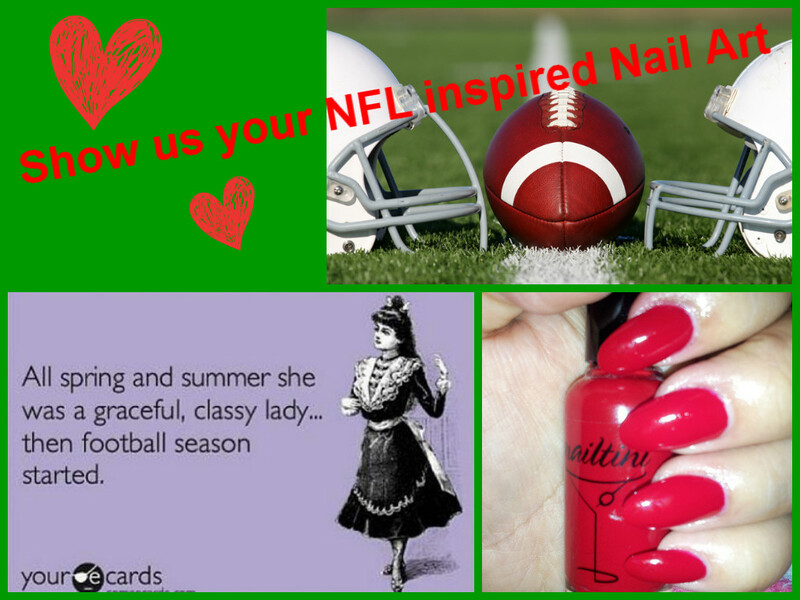 Then, share a photo of your NFL-inspired nails with us on either Facebook, Twitter, Pinterest or Instagram with the hashtags #nailtini #footballnails throughout the month of September, and you’ll be entered in to a weekly drawing to win your own bottle of Nailtini Bloody Mary, the perfect red lacquer! It’s always handy to have a nail polish remover close by in case you fumble. 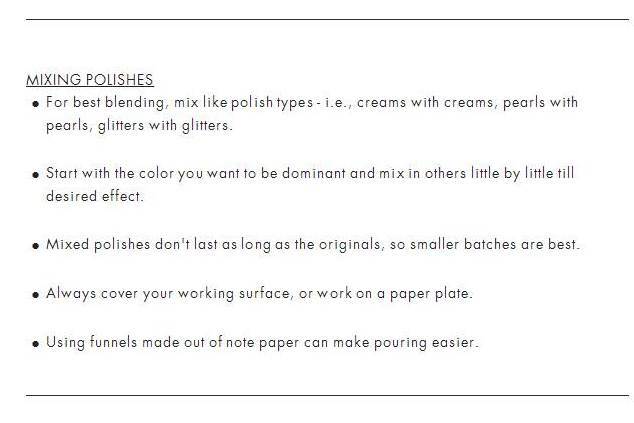 Our Cocktail Napkins AKA Nail Polish Remover Squares are perfect for touching up or taking off stubborn polish, $12.00 USD. 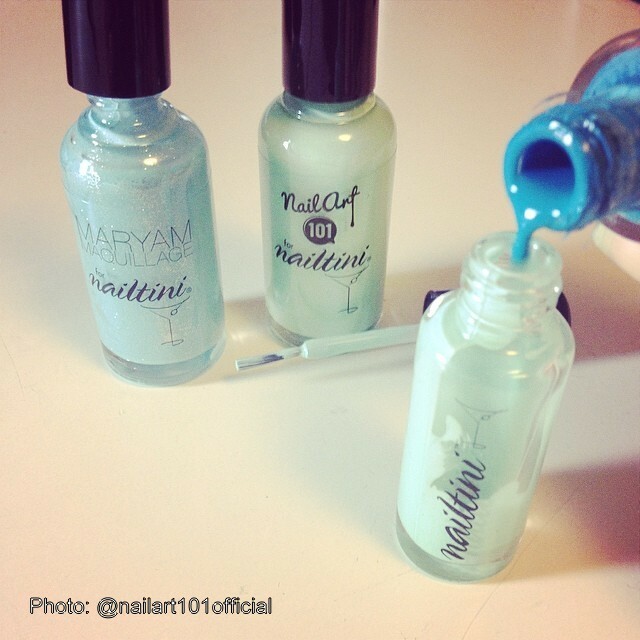 When you get close to the end zone, cut down on drying time and finish your look with Nailtini’s Dry Gin Top Coat and Dry Martini Nail Polish Drying Spray.